Always use the correct the size panel. Do Not cut the Rubber Seal. 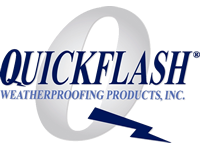 ©2001-2019 Copyright Quickflash® Weatherproofing Products, Inc.